Coming from a long line of painters, Kornerup was the youngest son of the artist Lars Kornerup. He began his training under his father before going on to study at the Copenhagen Academy from 1881 to 1885. Later he became a pupil of the artist P.S. Kroyer. As a great traveller Kornerup roamed most of Europe and visited America, attending the Paris and Chicago World Art Fairs of 1889 and 1893, and working for four years in Norway. Nevertheless it is as a painter of domestic scenes which celebrate his love and knowledge of Danish life that Kornerup is most celebrated. 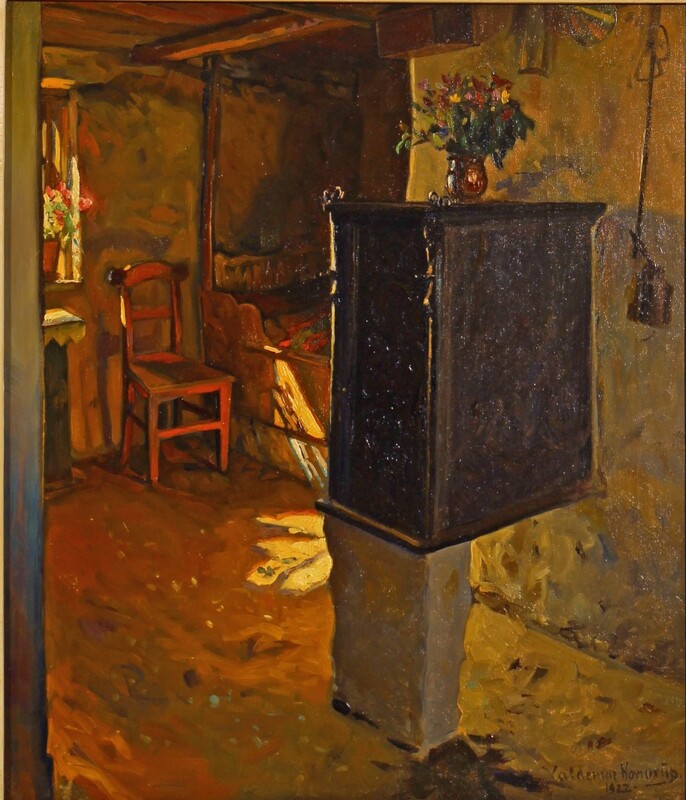 His paintings of traditional interiors record the charm and character of the rooms and their furniture, but they are not merely records, creating a strong sense of the play of light and imbued with a distinct atmosphere. His art is held in the Hirschsprung Collection, among other Scandinavian museums.